Cyberbullying is a very real problem in the world today. With the internet becoming more and more integrated into everyone’s lives, younger students may not grasp the consequences, or even REALIZE what they are doing when they sign in to an online account. Cyberbullying statistics prove overwhelmingly that cyberbullying is a real issue in the world today… and if your student is on either side of the equation, there’s at least a 50% chance they’re not telling you. By understanding the signs of cyberbullying (whether your kid is the bully or the victim) and taking steps to help them, you can help to change these statistics. 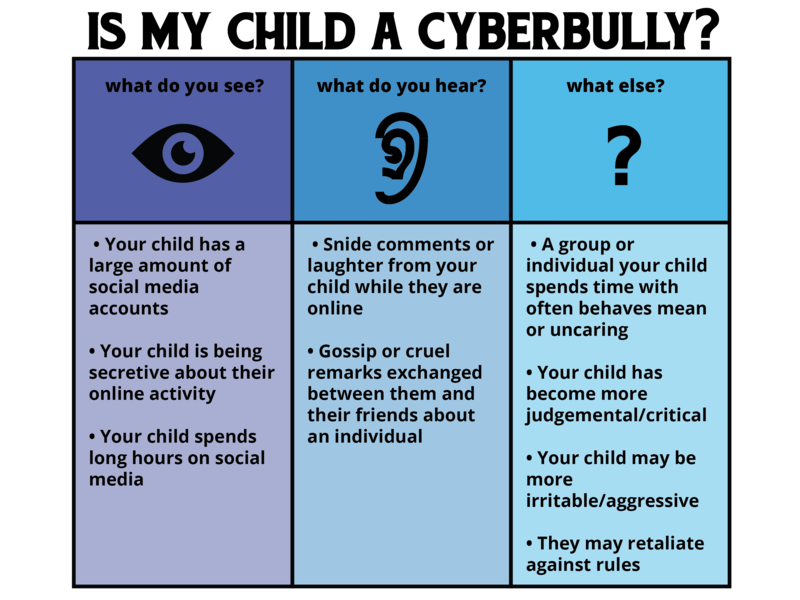 I want to say something very important here — if your child is cyberbullying, it is highly likely that they do not understand what they are doing. The fact that these communications occur in type, and online, greatly reduces their perceived impact. Kids believe that online statements simply “don’t count” because they’re not being said to someone’s face. However, this doesn’t change the effects of cyberbullying, and these can be severe. According to Get Cyber Safe, here are some things you can look for. Whether or not your child is cyberbullying, you should educate them on what it is, and why it matters. Cyberbullying is a very serious issue. A child found guilty of cyberbullying can face legal charges — not to mention this child will have to live with the effects of their actions on another person. Make sure to explain to your child WHY you are doing this. Find articles and information on cyberbullying and read through them with your child. Afterwards, ask them to reflect on why they did it. It is important here to understand that the spectrum of effects cyberbullying may take on an individual is vast. As I already mentioned above, the chances of your child approaching you about being a victim of cyberbullying are slim. It is more likely that they will suffer in silence, to whatever extent. 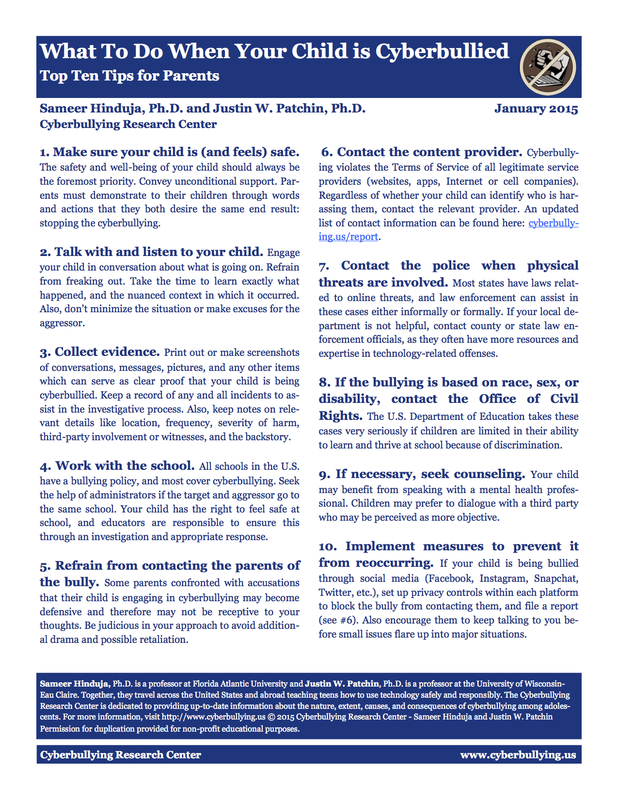 Download What to do When Your Child is Cyberbullied. At Student-Tutor it’s our mission to spark bright futures. It’s my hope in writing this article that we can help prevent future cyberbullying, and help those students who are already affected by it. What other questions do you have about cyberbullying? Did we miss any important signs to look for, or steps to address cyberbullying? Let us know in the comments below.